Transfer knowledge to institutions and entrepreneurs. In order to facilitate the implementation of solutions to address the packaging issues, a training of trainers (19 youth) and several workshops (30 entrepreneurs) for food and handcraft products have already been conducted in 2018. For 2019, YEP requires the services of a National Consultant to undertake the activities listed in the next section. The Consultant will work under the direct supervision of the Senior Advisor, Packaging, and in collaboration with the local YEP team in The Gambia. 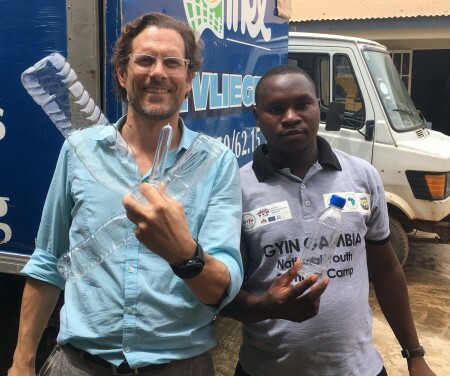 Prepare a business case to set-up a system for collecting, cleaning and reusing glass bottles in Gambia. Various assignment like participating at roundtables and meetings, liaising with institutions, organizations and entrepreneurs, etc. Reports to be prepared in English. Undergraduate degree (BA/BSC or other) with a minimum of 4 years’ experience in a relevant area OR a postgraduate degree (MA/MSc/MBA, PHD or other) with a minimum of 2 years’ experience in a relevant area. The degree should be in Marketing (market study, business development), Economics, logistics, Business Administration, Agro-food industry, Science related field or in a research related field or advanced educational programme or technical or commercial school equivalent, preferably supplemented by training or courses in a related field. Extensive relevant experience may be accepted in lieu of the university degree. Interested applicants should send CV and Cover Letter via email to Frederic Couty (fcouty@intracen.org), or hard copies addressed to: Project Manager, Youth Empowerment Project (YEP), EDC House, Bakau. Read the full Terms of Reference document for this position by clicking here. The deadline for submissions is to 16th January, 2019.